Oh, you’re still posting. Are you willing to work through your misconceptions that brought the discussion to an impasse, then? Please note that it is not my wish to belittle or insult you. But you are struggling with a perceived adequate understanding of these topics and not recognizing your problem areas. I am confident that you can do better. The discussion went astray from where we were discussing the effect of Arctic cloud cover. I think there was some confusion about its effect on surface temperature, its effect on the radiation balance and its role as feedback. Very well, what would you like to review? -Surface temperatures, especially nighttime, are (generally) warmer when there is cloud cover than when there isn't. (Well known thermal shielding effect of clouds). You correctly pointed this out. However, there may have been confusion between this and feedback effect. The route from one to the other is not straightforward. Indeed, one is not uniquely determined by the other. -Arctic (more generally, polar) cloud feedback is negative. This means that the effect of these clouds is to make the increase in average global surface temperature less sensitive to an increase in CO2. Analogy: If, as the planet warms, the albedo increases, then the surface temperature increases less than expected if this effect were neglected. -The feedback from clouds globally is positive, with low latitude convective clouds playing the most significant role. Yes, let's get back to the Arctic. The derailed discussion was basically on methodology and somewhat off topic. The effects of clouds are interesting, and quite complex, so there's much food for thought here, and the net effect is likely elusive for now. Ok, we likely agree that no clouds (or to a lesser degree high altitude, very cold clouds) in the dark season lower the surface temperature, also creating temperature inversion. So a change in cloud cover will affect the surface temperature, which happen to be the metric for global warming. I'd also add that I think this effect is artificially amplified by the fact that stations are more frequently located in low elevation areas where the effects of inversion can get very large. E.g. it can be 20C colder in a valley than on the hill. Such changes in surface temperature wont tell us anything about the energy balance if the inversion is just about moving and separating cold and warm air. The heat content of the atmosphere could be the same. I think the effect needs to be measure from space, not from surface stations. Then you say that Arctic cloud feedback is negative. If global warming decreases cloudiness in the dark season allowing more radiation to escape from the surface, and increases in the bright season reflecting more solar radiation, it makes sense. But was this your argument? Contrary to this, we often hear how less summer ice is triggering a death spiral due to the lower albedo of open sea compare to ice. I've found such arguments counter intuitive. I'm not sure if people making that argument have ever been in Arctic waters during the summer. It's foggy. Not always, but very often. Because the ocean is colder than the air above creating a slight inversion, I presume. And clouds and fog, if opaque, have a higher albedo than sea ice. So it's not entirely clear to me that open water should have this warming effect. It's very nice that it's possible to go into the details and access the data. I wish, however, it were possible to dig all the way down to the raw unhomogenised data showing the actual observations rather than station reconstructions drawn from various sources. However the issue of Global Warming (or Climate Change ...whatever) is a very convenient method for those who would usurp freedoms and limit the western way of life to create a scapegoat to implement their left leaning policies. The head of the Intergovernmental Panel on Climate Change even has been quoted as saying even if Global Warming is a falsehood that the policies implemented as a result would be positive for social justice. I see parallels to another theory that was held by a considerable number of so called scientists in the early 20 th century called Eugenics. We know how that one turned out. As for the claim that scientific community has unanimously accepted the position...well that easy to do when most climate scientists get most of their income from government grants and funding from businesses that profit from the "green fad". My theory is this...if man made climate change is real. Then the only way to cure it is economic growth, and pro growth policies. If there is a demand for mitigating this problem then people will by the products and services that will mitigate it. The biggest polluters per capita are the developing countries. The most advanced countries have the technology to keep their communities cleaner. If these emerging countries prosper they will aquire them as well. countries like China will develop more nuclear plants and more efficient fossil fuel powered plants as they advance...so lets encourage growth. While the left side more eagerly accept the current understanding and cures for global warming, don't think there is some kind of global conspiracy going on. The cure for CO2 and more is abundant energy for everyone, which only technological advances can give us. Fossil fuel is a primitive and very expensive source of energy, but at the same time we must accept it as a necessary step towards something more advanced. Technologically we should have had more energy from nuclear sources now, but I think the doubt is making these necessary steps longer, ironically adding harm of the kind which triggered the hesitation in the first place. Explain to me then why the left more openly...shall I say religiously accepts the theory of global warming. It could be that the theory if true would require in their eyes a bit of dismantling of the global capitalist system. This is their words not mine. I cannot openly subscribe to theory which at its underpinning are political activists who purposely fund and recruit scientific minds that agree with them. Last time I checked there was not a consensus section of the scientific method. Several really idiotic theories had "overwhelming support". Instead of pouring over flawed climate models, Co2 ppm readings taken on dormant volcanoes (Mauna Kea), Temperature stations (the one at my college sat under an AC unit outside) and denying a definite correlation between solar activity and the climate trends of the last 15 years. I cannot even understand how someone cannot be a bit of a skeptic after seeing the reports and scandals over the last 4 years. Maybe it will take another mistaken mass extermination of an undesired group before this latest obsession is done with. 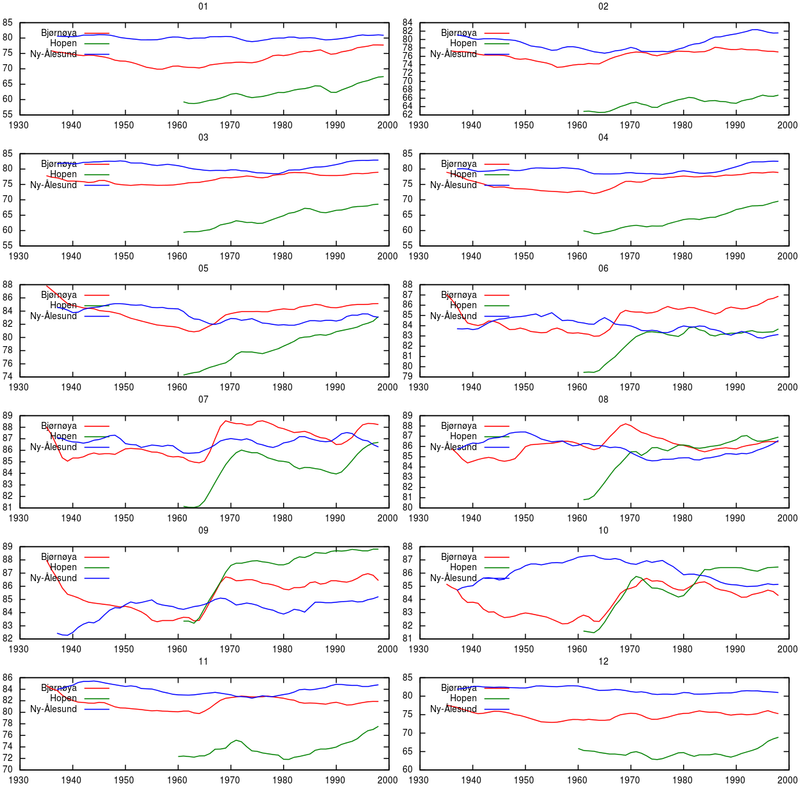 Dude, if you want to convince anybody here that the science doesn't actually support anthropogenic global warming, that the data-gathering methods are predominantly flawed, that any fraud has been perpetrated, or that any conspiracy exists, you're going to have to present actual verifiable evidence. What you're got now is simple assertion. Anyone can assert anything. Back up what you're saying with hard evidence, or be prepared for the discussion to come to an abrupt end as there wouldn't be any point in going farther. Hey midtskogen, sorry for being so late getting back to you; I've been dealing with a lot of RL lately and my free time for forum posting has been limited. While I have time here let me address a few things desertsoldier22 said, then I'll get back to your comments and questions on cloud feedbacks and the Arctic at the end of this post. I cannot openly subscribe to theory which at its underpinning are political activists who purposely fund and recruit scientific minds that agree with them. -Does it have a sound theoretical framework in physics and other sciences? -Is it well verified by observations? You have presented here a great deal of assertions here as to why you think global warming theory is wrong, and while most of these are pretty sketchy and borderline conspiracy-theorist, some were actually pretty good ideas that scientists have taken seriously. The quality of air temperature observations, for example. It is true that a lot of observing platforms were/are very poorly situated, but after examination we have found that this does not affect the conclusion that the planet is warming. 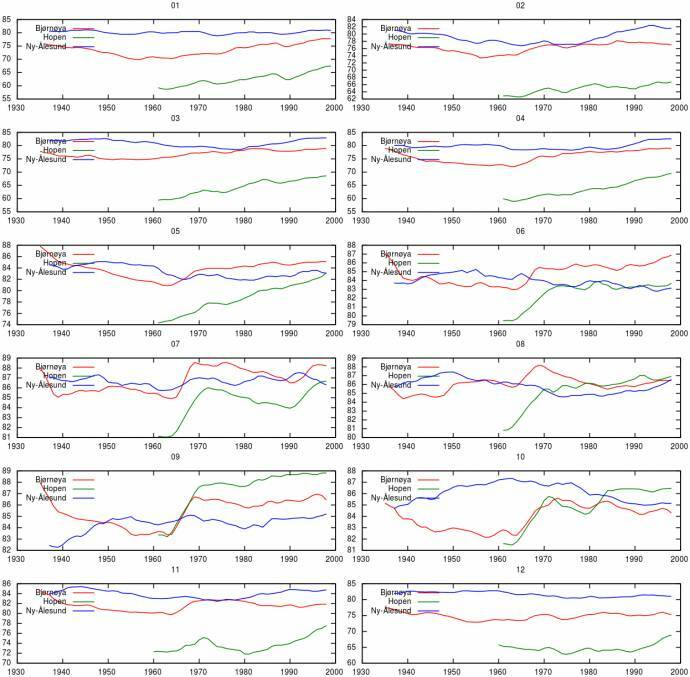 Ground-based stations also comprise only a small part of our toolkit for measuring planetary temperature and we can see that warming is occurring through a variety of different methods (and locations). As for measuring CO2 from the top of Mauna Kea, the reason for this this is pretty basic atmospheric science. CO2 is not well mixed at low altitudes, but it is very well mixed at high altitudes, above the planetary boundary layer where geostrophic approximations hold. This same principle is why the astronomical observatories at Mauna Kea enjoy some of the best seeing conditions in the world. We also want to be as isolated from major sources of CO2 as possible; the remote location of Hawaii in the middle of the Pacific Ocean suits this purpose very well. You might be concerned that Muana Kea being a volcano is at odds with that, and indeed it sometimes is. When this happens it is extremely obvious (and can be actively monitored via local weather and volcano conditions) and it is simple to recognize and discard these data. In the end, Mauna Kea gives us a very good record of CO2 concentration... so good that we can clearly observe the tiny seasonal variation due to CO2 uptake by vegetation around the planet as well as the large long term increase due to human activity. And if you still doubt it, then just compare with other similarly-isolated observatories, like at the South Pole. I wouldn't say the net effect is elusive exactly (certainly it was a decade ago, but not so much now). We are very confident that it is not negative, for instance. At the time of submission of papers for the last IPCC report, it was constrained to negligible to moderately positive. Since then, research is indicating that the lower values are less likely, as you saw from the earlier paper and its references. You can see the evolution of knowledge on the topic from AR4 and more recent publications. What you describe here is a simple version of the description given in Wang & Key’s paper. The conclusion that Arctic cloud feedback is negative is seen in this and other scientific literature of the topic as well. I did not write that literature, experts did. I think the effect needs to be measure from space, not from surface stations. It is. Remote sensing is a very important tool in atmospheric science, as are radiosondes. The ability to analyze the three-dimensional structure of the atmosphere is not new; we’ve been doing it for over a half century. We have thermal profiles for the Arctic all the way back to the 50s from US Naval missions, if I recall right. Let me know if you have any further questions or misconceptions you'd like to address. One possible misconception I noted in this last post is that you might be confused on what cloud feedbacks really mean and how they are determined. The change in temperature alone doesn't tell you what the cloud feedback is -- the cloud feedback is a radiative forcing which we can determine by satellite observations. * I believe CO2 is not measured on the dormant Mauna Kea volcano, but rather on the slope of the very active Mauna Loa volcano. But it does not matter much. CO2 is measured elsewhere as well anyway. * Most of the issues raised by desertsoldier22 are real, but the question is how significant. Yes, UHI is real but how much does it contribute? Changes in solar activity are real but how much does it contribute? And: The CO2 increase is real, but how much does it contribute? I get the impression in the climate debate that while many recognise that there are many factors at play, there is little willingness to accept that they work continuously and concurrently. So the "denialist" sees periods of warming, he explains it with UHI, solar activity, natural variability, etc while in periods of non-warming he sees normality. When the "alarmist" sees periods of warming, he sees CO2 in action as expected, while periods of non-warming can be explained by soot, solar activity, natural variability, etc. But nature does not have such kind of time sharing. I wouldn't say the net effect is elusive exactly (certainly it was a decade ago, but not so much now). A bold statement. What makes this science so special that it's exempted from the test of time? What you describe here is a simple version of the description given in Wang & Key’s paper. So for the feedback from global warming to be negative by this argument we must then be certain that global warming indeed reduces cloudiness in winter and increase it in summer. How are you sure that this is the case? Where did you get these arguments from, if I may ask? Fog forming over open sea in the Arctic in summer? I worry if you are getting your information on climate science from questionable sources. Arctic fog occurs first and foremost during summer. It is generally formed when mild, humid air moves over a colder surface, most often snow and ice, or a relatively cold ocean. The surface cools the lowermost air layers, which means that less water can remain in gaseous form. Some of it separates in the form of small drops, which float along with the air. Gradually they can become so numerous that visibility is radically reduced, and fog is a fact. The depth of the typical Arctic fog is limited to often only a few tens of metres. Most affected are the ocean and coastal areas where mild air from the south comes into contact with ice or a cold sea surface. The stations on Bjørnøya and Hopen report fog in about 20% of all weather observations in July, whereas the frequency in January is only about 1%. These frequencies are probably somewhat greater than those over the surrounding sea, because the slight rise and consequent cooling of the air over the islands can be sufficient to release fog. This phenomenon is still more pronounced when the air is forced to move over mountains and glaciers. Huge cloud banks are then easily formed. In the mountains this is experienced as fog, and is often combined with drizzle or slight snowfall. On the lee side the air sinks again and the clouds dissolve. In the inner parts of fjords and valleys the fog frequqntly is usually low. The take-away point here is that this fog is quite frequent, up to 20%, and often thin when the weather otherwise is fine, as will often be the case a bit inland (but less so on snow or glaciers). You can equally well have fog over sea ice as well, but the albedo difference will be less and eventually air humidity will likely decrease the further away from the open sea you get. I'm not saying that such fog will overwhelm the albedo effect of shrinking ice changing the sign of the feedback, but I would expect it to influence the albedo, and I would like to see it discussed somewhere. I believe CO2 is not measured on the dormant Mauna Kea volcano, but rather on the slope of the very active Mauna Loa volcano. Nothing. It isn't. It could be shown to be wrong tomorrow. So could General Relativity, or the properties of a recently announced exoplanet. There is no value of elapsed time for which a result or theory suddenly becomes accepted. 'Test of time' is a fairly nondescript phrase for 'confidence that a result or theory is correct is boosted by it being validated through a variety of tests'. The role of clouds as a feedback effect is a topic that has been examined by a lot of researchers using a wide range of methods and data. This is what they have been finding. A negative net cloud feedback is inconsistent with available evidence. If this conclusion is wrong, someone has to demonstrate it and explain why the evidence up to that point was leading us astray. This principle applies for all of science. Because I we they a lot of very smart people who specialize in this field checked. This is what the data show. And remember, change in cloud fraction is not the only important process to consider here when determining a cloud feedback. If you keep thinking that what you are describing above is ‘the argument’, then you are setting yourself up for continued misunderstandings for why this particular feedback is negative. My question "Where did you get these arguments from, if I may ask?" and "I worry if you are getting your information on climate science from questionable sources." are in regard to "Contrary to this, we often hear how less summer ice is triggering a death spiral due to the lower albedo of open sea compare to ice. I've found such arguments counter intuitive." Please take just a moment to reread the full paragraph you quoted from again to make sure you correctly understand the context. My worry is that nobody seems to mention it when discussing changing summer sea ice and albedo. … I would like to see it discussed somewhere. Which journals did you review when researching this topic? Because I we they a lot of very smart people who specialize in this field checked. Good thing that you checked, then. Can you provide the data? The first part of the graphs should show natural variability and the second part should show global warming [plus natural variability]. I can't really see a signal here outsizing natural variability. If anything, cloudiness in January seems to have inched a bit up, not dropped. For the summer it's hard to see any trend at all. But if the increased cloudiness is linked to more open water, these stations will not show that, since these waters have always been ice free in summer. The only clear signal I can see is that cloudiness has increased around Hopen in spring, but the history is a bit short. Hopen also happens to be the place where the sea ice decline likely has had the most effect. I read the paragraph the first time and the topic was fog, but since it wasn't exactly clear what you meant, I asked. I don't see much reason to be smart. The declining ice-albedo feedback argument is all over the literature. You can find it many places in the Scriptures [4.1 (321) 5.1 (396) 8.6.2 (708) 10.5.1.1 (906) glossary (1455)]. The question is how dramatic it is. If your question is about the source of "death spiral" which suggests more drama than a slight positive feedback, just google "sea ice albedo death spiral" and you'll find the scientists who use the term. I suppose they use it as a sexier term (for journalists) than "strong positive feedback". The graphs above show that the Arctic waters are very cloudy in summer (85%) . This restricts the effect of lower sea albedo quite a bit. Hopen is less cloudy, in particular during the months when ice surrounds the island (Bjørnøya and Ny-Ålesund are much less deeply surrounded by ice). It could be an effect of more distance to open water, which would agree with my argument more open water results in more clouds (including fog). Added: Found some old video clips (yes, crappy quality). My second trip to Bjørnøya. Almost clear sky! I am not going to entertain such a silly question. You have already been provided with many papers on the matter -- if you want their data, look at their sources. If you think they are wrong, get involved in the field and write some papers. As for your quick analysis using arctic observing stations, good effort, but your method is not suitable for the question you are investigating. What do your data tell you about cloud fraction, height, micro and macroscale cloud properties, or radiative flux between surface, cloud, and top of atmosphere? This is the kind of stuff you have to look at when dealing with cloud feedback effects as the professionals do. This is a point I've explained to you three times now. "If you keep thinking that what you are describing above is ‘the argument’, then you are setting yourself up for continued misunderstandings for why this particular feedback is negative." Protip: Try Journal of Geophysical Research: Atmospheres. What do your data tell you about cloud fraction, height, micro and macroscale cloud properties, or radiative flux between surface, cloud, and top of atmosphere? The observers simply reported the amount of clouds in eighths at every observation (four times a day). We would of course have more to work on with the complete picture of the different layers of clouds, thicknesses, etc, which does matter for the radiative properties, but what data do you seriously expect to be available for the needed timescale? I asked how we can know that global warming has decreased cloudiness in winter and increased it in summer. I try at least to dig in the data that exist. So far you have despite a confident attitude done little more than to suggest that someone wise whispered the answer in your ear. The timescale is a bit short, ideally we should have a couple of AMO cycles. Anyway, while cloudiness has remained the same, Ny-Ålesund seems to experience an increase in low clouds. 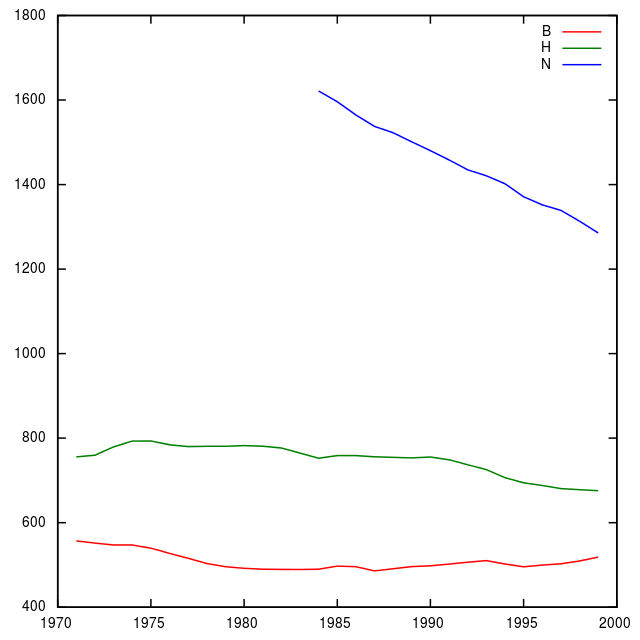 On the other hand, the more pure open sea stations Hopen and Bjørnøya show little change (since the 80's slightly down at Hopen ans slightly up at Bjørnøya). Thus, your data and analysis are unsuitable for determining the cloud feedback, and you have been investigating the wrong question because you misunderstood the nature of this feedback as described in the literature. It is not simply caused by seasonal trends in cloud fraction over the Arctic. The feedback is a radiative forcing – change in flux balance between surface, cloud, and top of atmosphere. This is measured directly by satellite and further insight is gained via modelling. Of course, the flux balance itself is determined by many things and there is interesting physics involved. We would like to understand their roles. These include cloud fraction, particle size, phase, optical depth, cloud top temperature, and surface vs. cloud properties. Some turn out to be more important than others (cloud optical depth is particularly important in the Arctic, as I pointed out earlier in another study), but they have to be considered together to form an integrated view of the whole region. Thinking the feedback is caused by a single one of these, or that whichever one that is has a uniform spatial manifestation, is quite wrong. "If you keep thinking that what you are describing above is ‘the argument’, then you are setting yourself up for continued misunderstandings for why this particular feedback is negative." Any luck with the Journal of Geophysics: Atmospheres?